Scomis works closely with a number of high profile organisations and technical partners in providing support, training, technical, installation, hosting and consultancy services for the partner’s applications. This ensures that our services meet our customers demanding requirements. 123ICT is based in Oxfordshire and delivers dedicated ICT consultancy to over one hundred local primary schools. CES licence the SIMS and FMS applications that Scomis host, support, train and provide consultancy services to schools. As the largest independent marketing and advertising agency in the South West region they know how important it is to keep hungry, especially in the ever-changing digital arena. They employ only the most talented people, constantly encourage accelerated learning and training, and work together as a team to ensure their clients continue to trust and respect their marketing skills. Provide a number of web based solutions including a learning platform, a governor portal, a school website and communication tools. Have the experience and technology to help organisations achieve the Customer Service Excellence standard. They have successfully supported over 3,000 organisations to achieve the prestigious accreditation by working in partnership with them to ensure they receive maximum business benefit from engaging with the standard. Launched in 2001, groupcall provides tried, tested and trusted communication, data and identity management solutions (e.g. messenger or emerge) to organisations within the education, business and public sectors. HCSS Education is a leading education finance specialist, providing practical and effective software solutions with the Financial Reporting Suite (FRS) and the Financial Planning Suite (FPS). 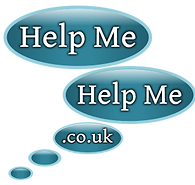 HelpMe HelpMe offer admin & curricular IT Support Services to Schools, Charities Nurseries and Children's Centres in the Bristol region. Methods deliver strategy, planning and assurance services across the entire public services sector, including central government, regulators, commissioners and providers. They provide either focused specialist input or support for certification processes and any organisational change journey. Since 1998 Nexus has supplied a comprehensive portfolio of IT solutions, IT services, training and exams to organisations of all sizes in Exeter, Devon and across the UK. Their consultants, engineers, developers and training instructors understand organisation’s challenges and how effective IT and communication can help to address them. 9ine Consulting are independent technology specialists providing strategic, operational consultancy services. Redstor's cloud services incorporate best of breed technologies and they constantly review the market to ensure that they are utilising the best technologies available. Scomis is an RM Premier Support Partner for the Community Connect 4 (CC4) product. Schoolcomms provides a way to engage parents more closely in their children’s education. They have worked closely with schools to develop messaging, payment, online reporting, club and parents evening management applications. Scomis has had a special relationship with SWGfL ever since it was started in the early 2000s. Being a Technical Partner enables Scomis to gain early access to trails, pilots and early adopter phases of new applications and developments with the grid. SWOTTS is independent company providing IT support to schools and Local Authority teams for SIMS software in particular in Timetabling (Nova T6), Options and Curriculum management. Contact Scomis for further information.